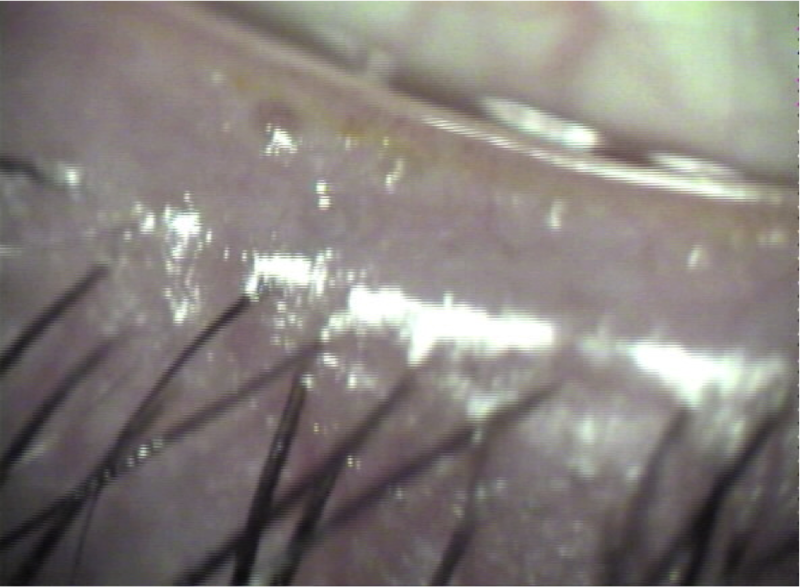 The International workshop on Meibomian Gland Dysfunction (MGD) recently defined MGD as “a chronic diffuse abnormality of the Meibomian Glands, commonly characterised by terminal duct obstruction and/or qualitative /quantitative changes in the glandular secretion. This may result in the alteration of the tear film, symptoms of eye irritation, clinically apparent inflammation and ocular surface disease”. 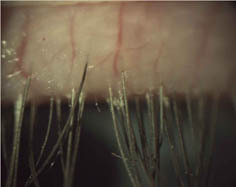 Generally Blepharitis is used to denote inflamed and infected, and usually blocked, meibomian glands. There are approximately 30 Meibomian Glands in both the upper and lower eyelids. 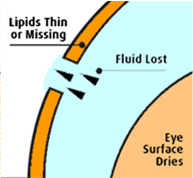 The meibomian glands of an unaffected person secrete a low viscosity lipid (oily) fluid into the tear film. This floats on top of the watery component of the tears reducing evaporation by “putting a “Lid” on the watery layer so reducing evaporative loss of water from the tears. Additionally it lubricates the surface of the eye.